Emu oil successfully treats lesions, lacerations, and application to sutures, promoting rapid cell repair. It keeps wounds moist and has excellent transport capabilities ( using the oil in combination with other medicines). Horses have the tendancy to produce too much scar tissue, or proud flesh with the topical application of emu oil there is less potential for proud flesh production. The oil tends to be bacteriostatic ( does not promote bacterial growth) and anti-inflammatory. On smaller animal application emu oil has been a source of remedial comfort when it comes to cast sores, lesions and pressure sores. This cream is a must for rapid scar free healing of wounds. 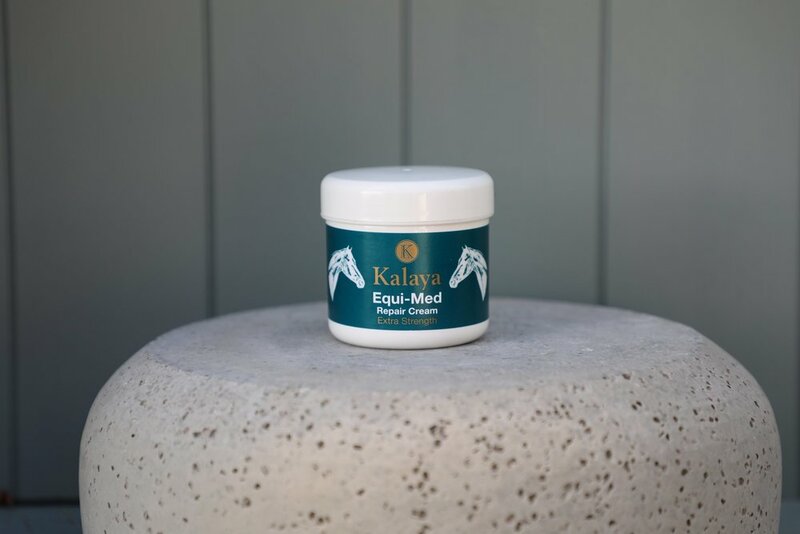 Equi- Med Repair Cream Includes | Emu Oil, Aloe Vera, Manuka Oils, Tea Tree Oil, Calendula, Lavender Oil and Aqueous Cream.